Paul McCartney brought his One On One Tour to Nassau Veterans Memorial Coliseum in Uniondale, New York on Tuesday night. During the encore, Sir Paul welcomed Billy Joel to sit-in on a pair of classic The Beatles tunes. 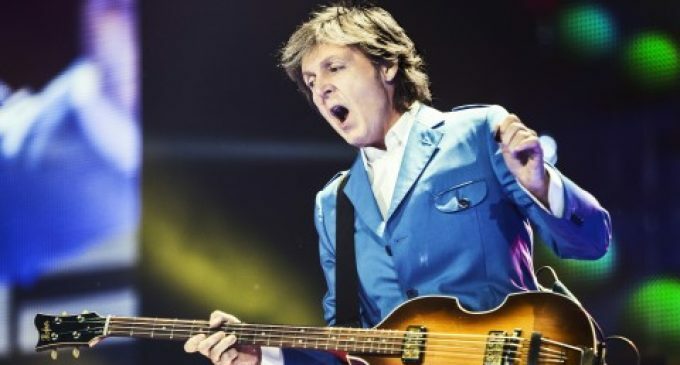 At that point in the show McCartney welcomed Joel to the stage to add additional keys to a rendition of “Get Back.” Billy stuck around for a subsequent performance of The Beatles’ “Birthday” before leaving the stage to Paul and his band. The Abbey Road medley “Golden Slumbers” > “Carry That Weight” > “The End” brought an end to Tuesday’s concert.